Abigail disappears amid accusations of witchcraft, but she leaves her lover Paul and young friend Bess a legacy of independence from the Puritan constrictions of seventeenth-century Concord. In parallel stories, connected by Abigail’s enduring inspiration, Bess becomes a gifted healer while Paul seeks a life that will balance his English and Indian natures. The chapters alternate between the points of view of Bess and Paul and each begins with an epigraph from either Bess’s seventeenth-century journal or that of time-traveler Abigail from the twentieth. 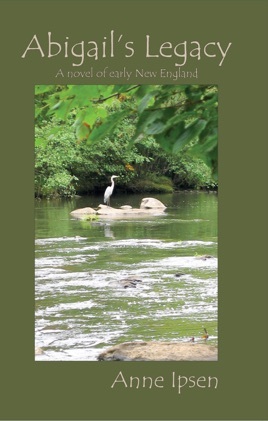 Abigail’s Legacy is the sequel to At the Concord of the Rivers which tells the relationship between mid-twentieth-century Abigail and seventeenth-century, half-Indian Paul and her difficult adjustment to time-travel and life in Puritan Concord. 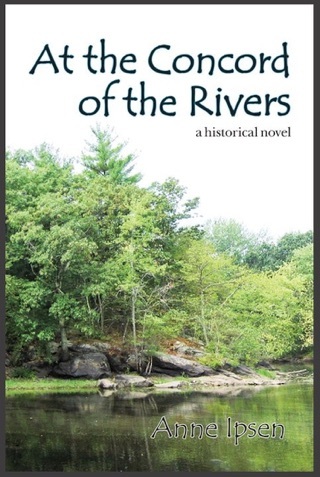 As in all her work, the author evokes a sense of time and place that transports the reader to the daily life of seventeenth-century Concord, Cambridge, and the Blackstone Valley. The two novels may be read independently. 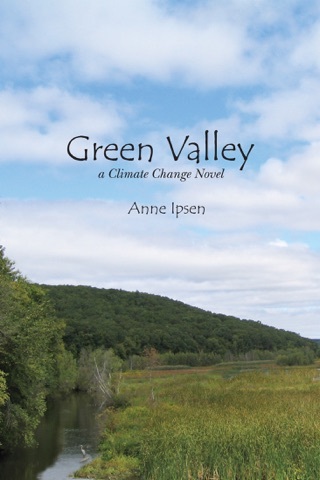 Anne Ipsen is the author of four earlier books, of which the first two are memoirs: A Child’s Tapestry of War about her childhood in Denmark during WWII and Teenage Immigrant about growing up in the Boston area after the war. Then followed two historical novels of the late nineteenth century: Karen from the Mill, about life on a Danish island and sailing around the world in a tall ship, and the sequel, Running before the Prairie Wind, which takes place in southwestern Minnesota. In addition to readings and talks about the historical context of her work, Anne is a writer and speaker about the environment and climate change. She and her husband live in Newton, Massachusetts.